Pedigree… you’ve done it again. Dog adoption FTW. These commercials make me wanna go out and buy a bag of Pedigree. With nearly 4 million dogs entering shelters yearly, there are so many furry friends waiting to find forever homes. Pedigree, a long-standing supporter of dog adoption, developed this film to raise awareness for dog adoption around National Adopt A Shelter Pet Day (April 30th) and National Pet Month (May). Beautiful and meaningful relationships start at the dog shelter. That’s where Dan, a veteran who was wounded in action, meets his kindred spirit, a dog that’s also been through a lot. This is another example of how Dogs Bring Out The Good In Us. I’ve had many issues with American Airlines. Their planes were old & dirty, their crews were rude & entitled, their seating was cramped – and I’m a short, small guy, their customer service was atrocious. But this is the story I tell when people ask me why I refuse to fly American Airlines (& United) and haven’t flown them for more than 15 years. I used to cover the Walt Disney Company back in the early 2000’s as a client. I’d just flown on American Airlines into DFW/Dallas Fort Worth from a company sales conference in New Orleans and was taking a connecting flight to MCO/Orlando to get to Disney Imagineering in Florida. Needless to say, I was pretty tired. But upon arriving at DFW, we had to get on and subsequently get off 3 different planes at three different terminals. The reason? The American Airlines captain announced to the passengers that each of the planes we had boarded had a mysterious & identical “mechanical” issue on each of them – and of course, no details were ever given. We even sat onboard the first plane and were stuck on it for at least 1 hour before deplaning. Back then you had to take a tram from terminal to terminal and our subsequent “new” planes were all on separate terminals making it an even bigger ordeal for us to drag our hand-carry luggage from gate to gate. It was such an ordeal that I distinctly remember seeing passengers carrying sleeping children over their shoulders, business men with sweat stains under their dress shirts from dragging their stuff between gates, and elderly folks – frightened that they might miss the new flight try to get to the gates on their own without waiting for wheelchairs. I also remember seeing kind people helping others with children or the elderly carry their bags to the new gates. I blurted out loudly, “Oh, you have GOT to be kidding me.” She said, “This is all hypothetical, of course. Oh, by the way? Here’s a customer feedback form. Our flight is AA407 & in case you’re wondering, our captain’s name is [pilot name here].” Every passenger in the gateway area was being handed a form. 2 weeks later, I got a written letter signed by the CEO of AA apologizing for the incident and a coupon giving me 25,000 frequent flyer miles, which was the equivalent of a free flight. I tore it up and swore to never flew with them again, if I could manage it. 7 years later, AA was the only choice I had to fly into Dallas. 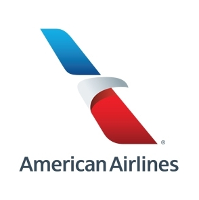 The price difference was too great between American Airlines and any other carrier that was on our company’s preferred vendors list. And that was the end of that – the bat signal must have gone out one me, because every crew member did their best to ignore me for the rest of the flight. Personally, after years of terrible customer service, I really don’t believe American Airlines employees have any fear of ever being fired. I don’t care about how “they’re only human” and all that jazz: No one with that kind of concern in their mind would ever treat their customers the way they do. You are currently browsing the Kurt's Thoughts blog archives for April, 2017.